Versioning 0.1.0 released! SpandexPhoenix 0.2.0: Now with simple `use` macro! 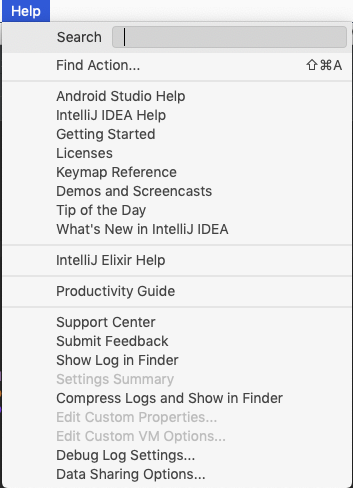 Add IntelliJ Elixir Help to Help menu that opens link in browser using plugin version to link to README.md on GitHub. test that checks that the source module exists. Drop “Elixir” prefix from templates name in Elixir File dialog since you already know you’re creating an Elixir File. Fix deadlinks to Run Configurations, which broke when section was renamed Run/Debug Configurations and auto-anchor changed name. Fix image links in README. Ensure defmodule one-liner isn’t mistaken for call definition head in Go To Symbol. Read next SpandexPhoenix 0.2.0: Now with simple `use` macro!